Well – things had ended rather badly at our previous distributors Epicentre (they went under) so we needed a new start. Some discussions with Alphamagic (who’d previously distributed NERVE001 and NERVE002) then followed and we ended up back onboard with them. So we thought we needed something a bit special to relaunch with. I’d been friends with Ant Mayhem for a while and he introduced us to the Noisia guys. We snapped up their “Silicon” track and also their collab with Mayhem for the flip – “Tomahawk”. This was to be Noisia’s debut release. Both sides were amazing, “Silicon” with its rollin bassline that just grabs you by the hair and throws you around the room and “Tomahawk” with its skippy breaks and smooth bassline. This turned out to be the 12 that people would constantly ask me about over the years. 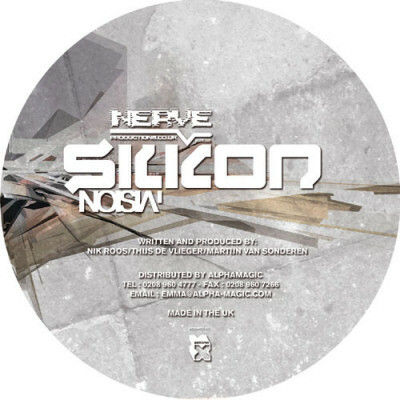 Noisia went on to do massive things on Subtitles, Ram, Virus etc etc and their own Vision imprint has become one of the top labels in the scene. At the time of writing there is an album in the works from them featuring collabs with Foreign Beggars amongst others. 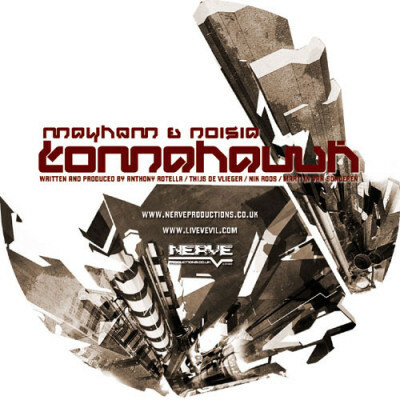 Mayhem also went on to release more amazing material including another collab with Noisia – “Moonway Renegade” on Ram. He has a new album forthcoming on his Shadow Law imprint and early signs indicate it’s gonna be a belter! More info on Noisia can be found on their Myspace page. More info on Mayhem be found on his Myspace page.